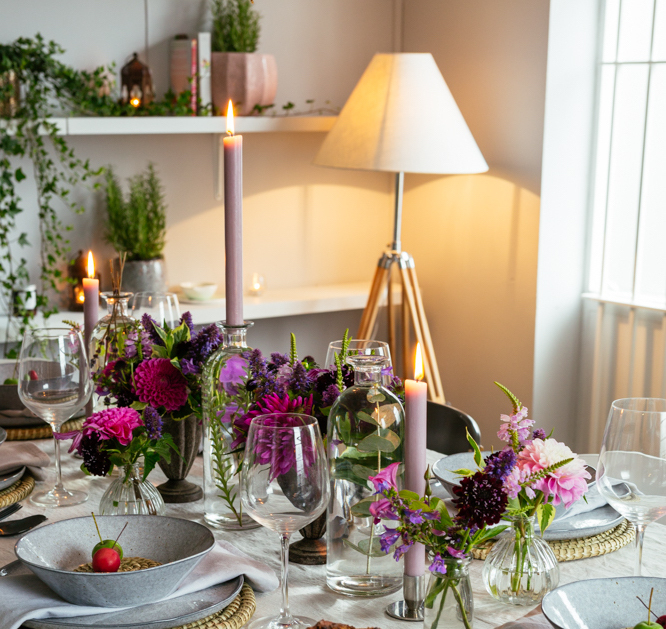 We caught up with Emma Thomas, from the wonderful Bramble & Willow florists in Wandsworth to discover her secrets to creating a beautiful table setting that you’re guests will remember for years to come. 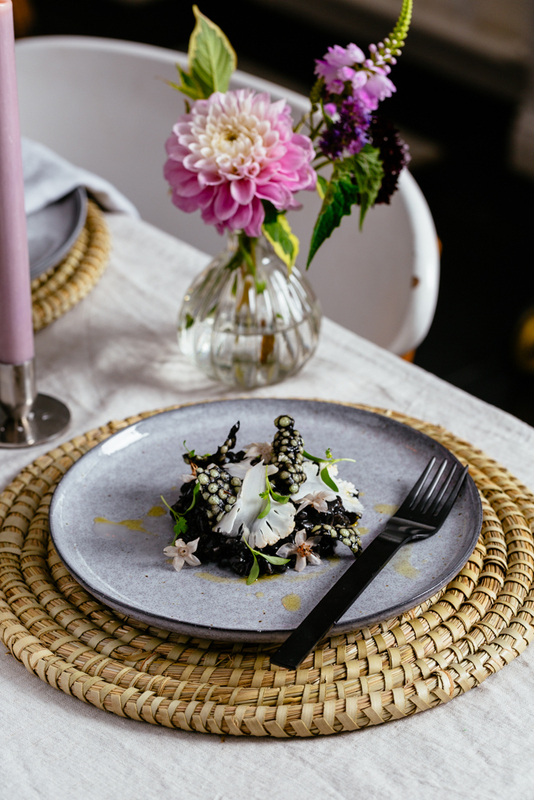 Simply scattering seasonal fruit such as crab apples, cherries or mini squash can be an effective and original way of dressing your dining table. Clear bottles make for an alternative candleholder. 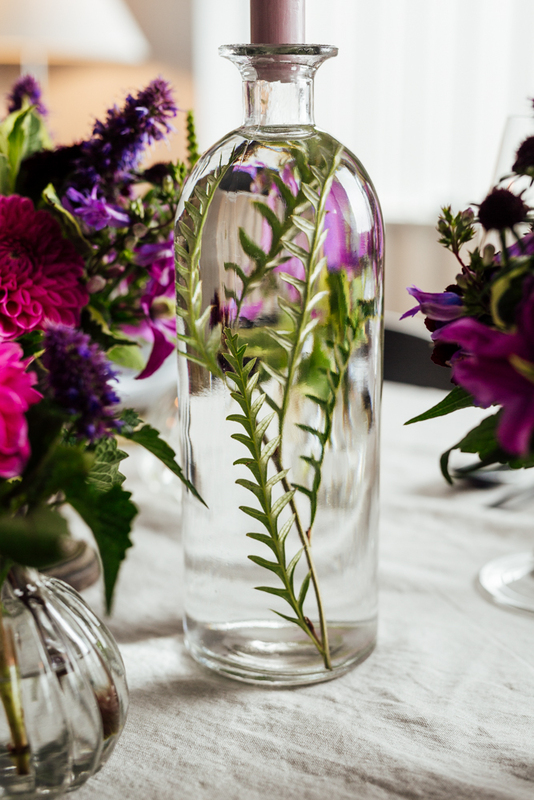 Fill the bottles with water; submerge a sprig or two of rosemary, a small branch of eucalyptus or even some dried lavender in the water then your table candle to the lip of the bottle. We love using coloured table candles to add a pop of colour to the mix. These last for ages too so you can place them on the mantelpiece when you’re done. Come Autumn we always nd ourselves admiring the beautiful autumnal leaves scattered in the park. 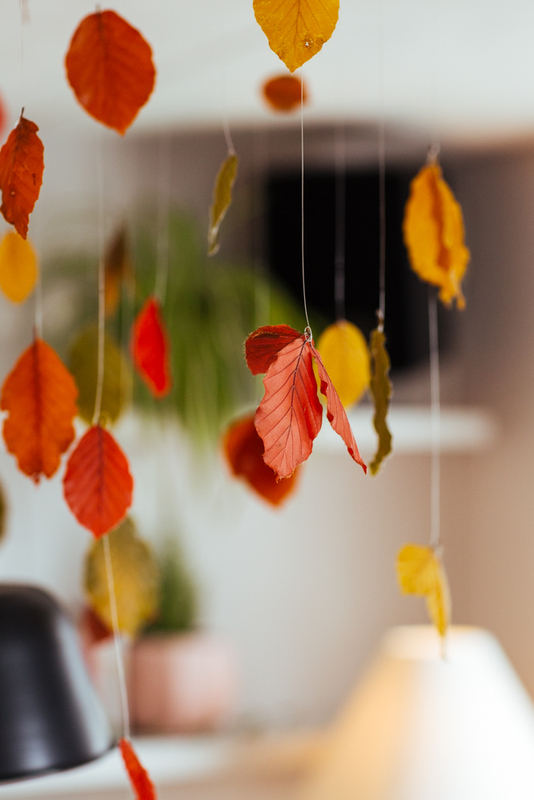 These can be used to create beautiful suspended arrangements, hanging the leaves on different levels using shing line. The leaves can also be used as place settings – wash the leaves, allow to dry and nally using a marker, write your guests names. A great way of adding pops of colour to your dining table can be created by using a collection of different mini bottles placed along the table. Keep it simple by using just a few stems of owers – the brighter the better to make more of a statement. Air plants are very in – not only do they look great but they’re also known for their ability to purify the air. These can be used as place setting decorations and a great gift for your guests to take away.